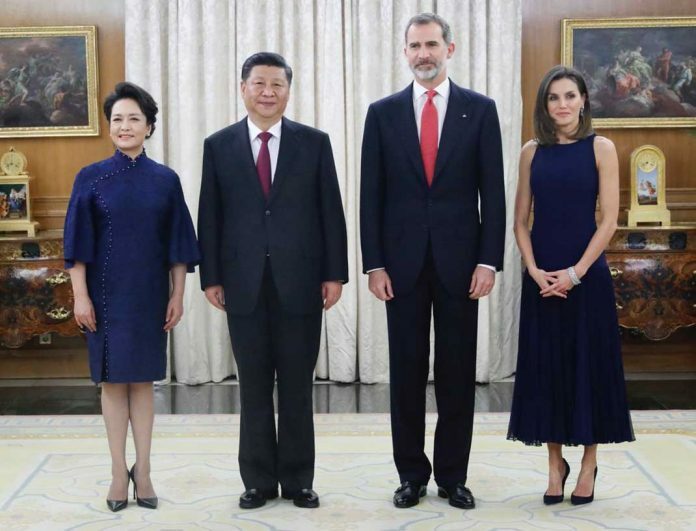 RoyalDish.com > Other Royal Families > Spain > Topic: State Visit from China. November 27 to 29, 2018. 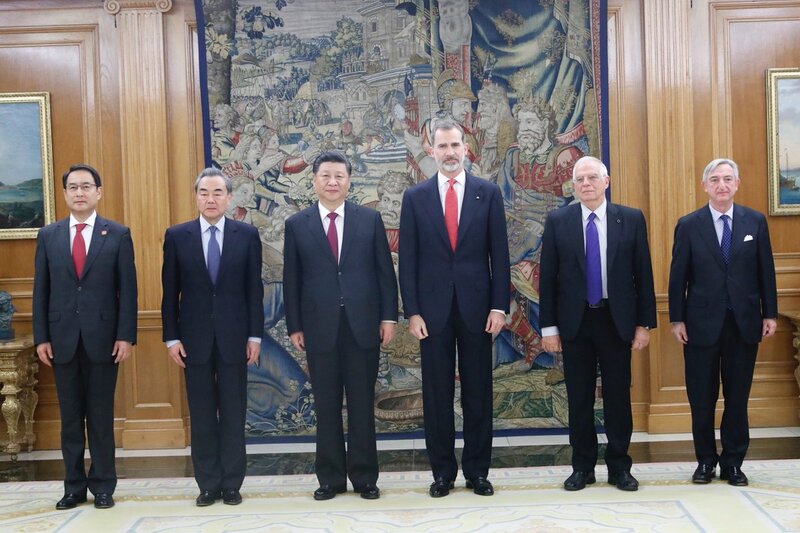 State Visit from China. November 27 to 29, 2018. 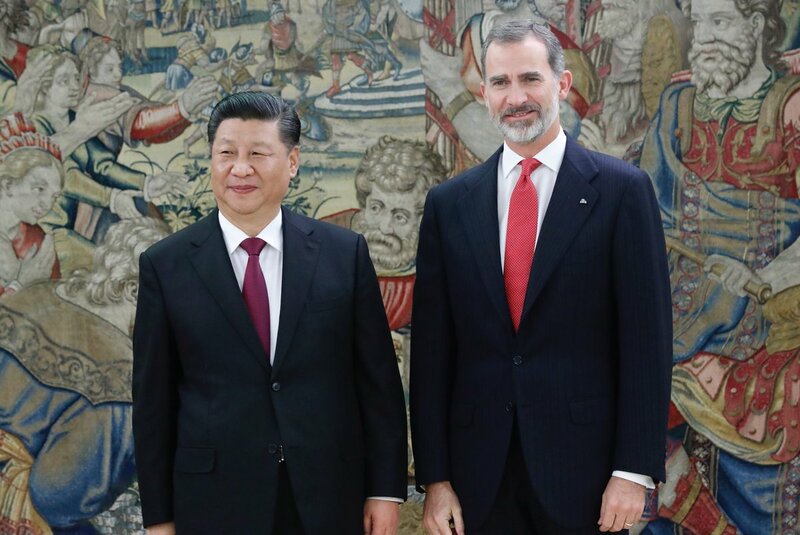 The President of the People's Republic of China, Xi Jinping, will make a state visit to Spain next week, from November 27 to 29, the first at the highest level for 13 years, as reported by the Ministry of Foreign Affairs on Thursday in a press release. 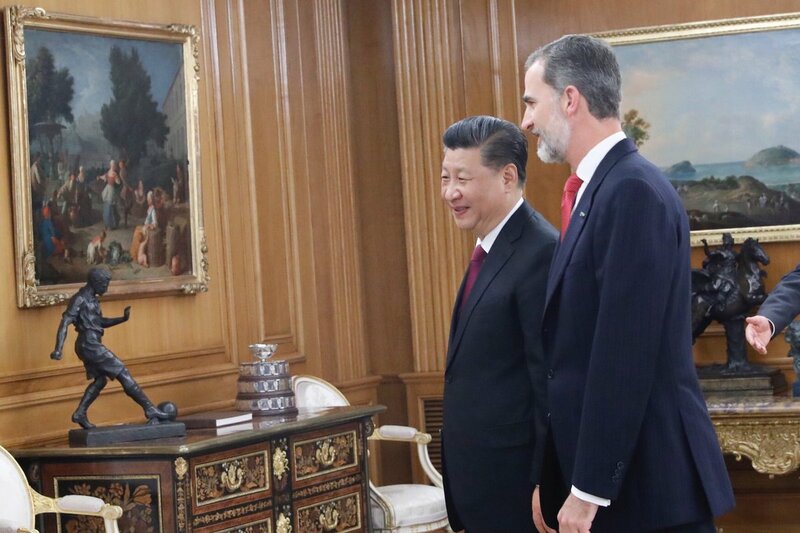 Although the President will arrive on the 27th and will leave on the 29th, the activities will be developed mainly on the 28th (official reception, gala dinner, meeting with the President of the Government, visit to the Senate and the City Council of Madrid). Re: State Visit from China. November 27 to 29, 2018. I would love for her to debut the Cartier Loop tiara...the other big gun from the collectyion she has not wear yet. But she'll probably stick to the Floral or the Prussian. 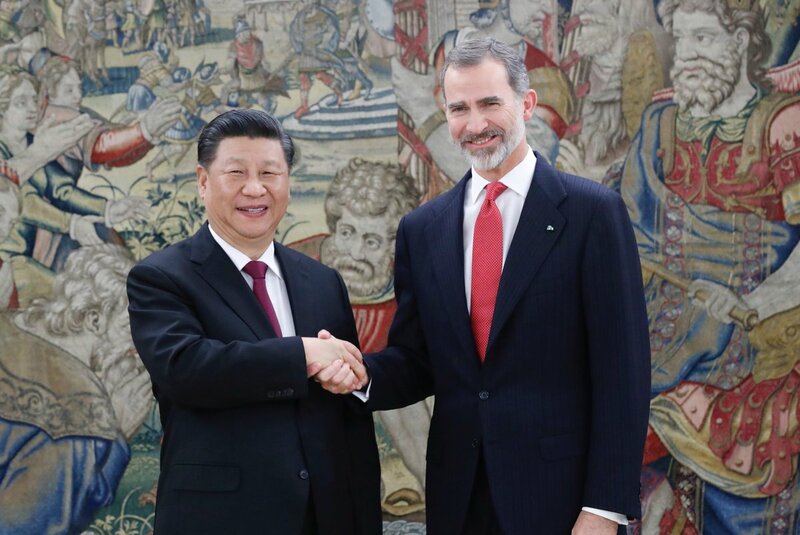 On Wednesday, the 27th, His Majesty the King will hold a meeting at Zarzuela Palace with the Chinese President, Xi Jinping. 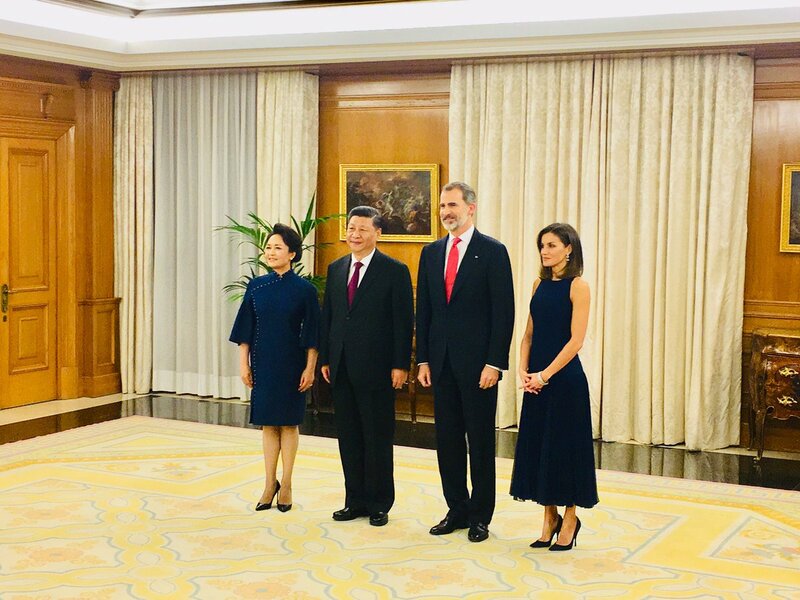 Later, King Felipe and Queen Letizia will offer a dinner to President Jinping and his wife. 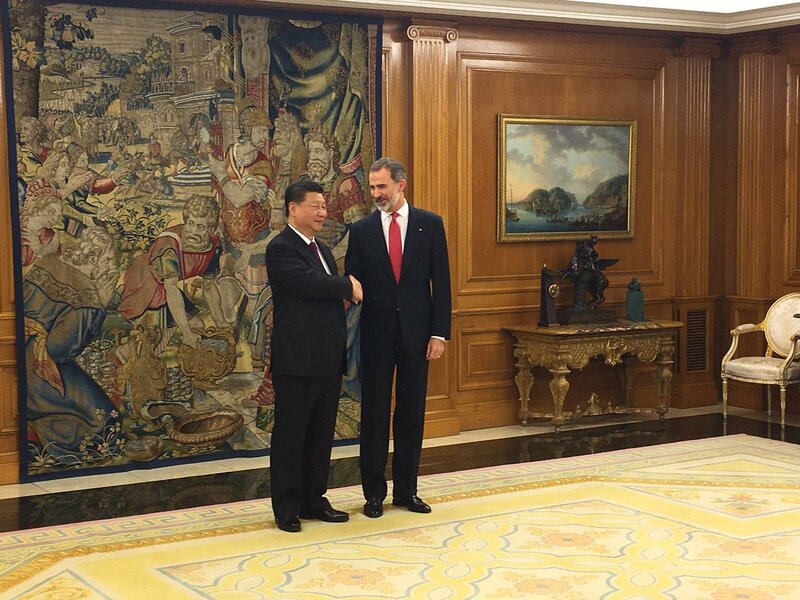 On Thursday, the official reception at the Royal Palace of Madrid will take place early in the morning. 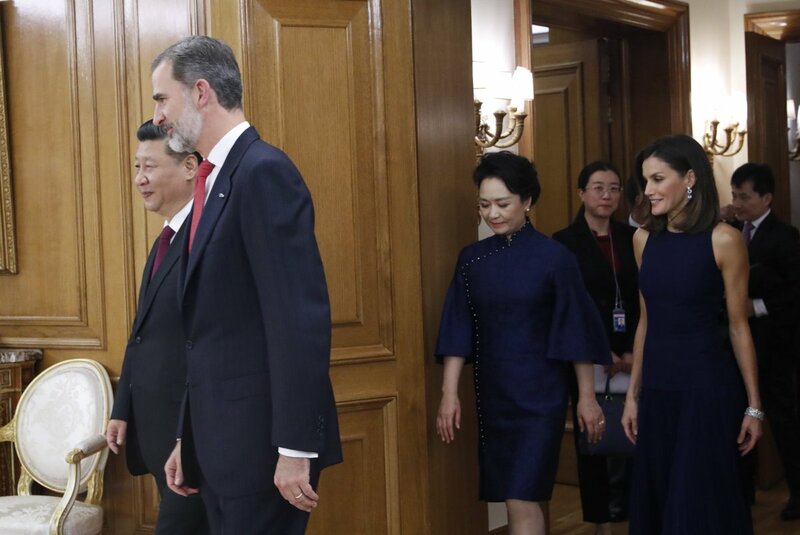 Also, His Majesty the Queen together with the First Lady of the People's Republic of China, Ms. Peng Liyuan, will visit the Royal Theater of Madrid. 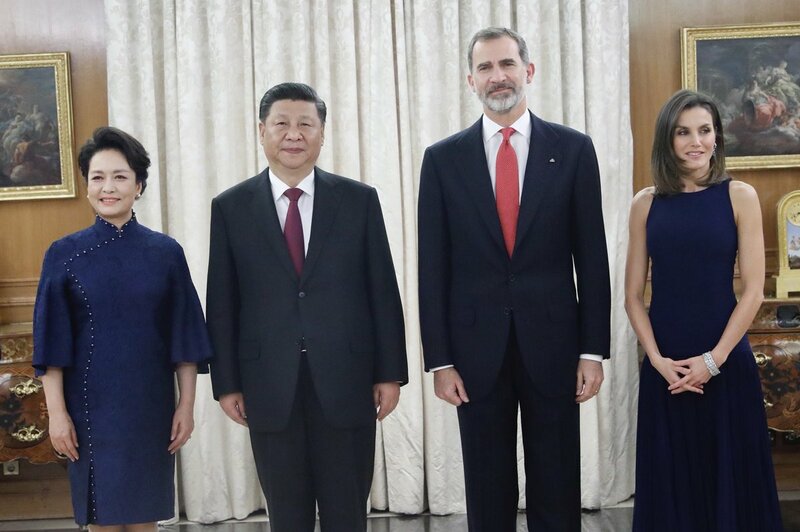 In the evening, Their Majesties the King and Queen will offer a gala dinner in honor of Their Excellencies the President of the People's Republic of China, Mr. Xi Jinping and Mrs. Peng Liyuan. I think she should go with a big tiara and a CH gown. The CNN news said Chinese consumers spent over $7 billion each year on luxury goods, nearly one-third of the global market. CH has a chance to compete with French/Italian lux brands in China. 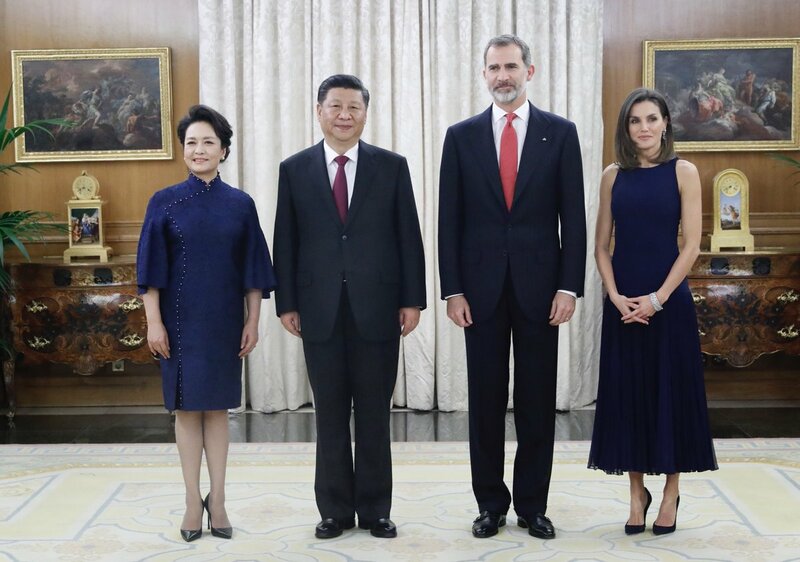 Letizia looks great. That's a fabulous dress and she has accessorised perfectly. Will someone please tell me how to have arms like Leti’s? DGIH, with arms like that, no need to cover them IMVHO. Love Leti's hair at this length and in this style. It is really flattering on her. Her dress is also gorgeous. Gorgeous dress but i prefer she cover her arms not pretty view imo. I agree with all of you, the dress, the hair, she looks fantastic. I don't mind the bare arms, she has great arms!